It goes without saying, but pests can have a detrimental affect to your business. Not only does your environment become unappealing, but, depending on the severity of the infestation, you may have to close your facility whilst the problem is being dealt with, thus impacting on your profits. So, removing the problem quickly is vital. The safest and most hygienic method is to use a professional pest removal company. 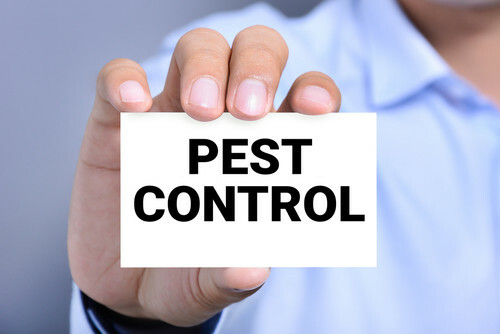 Professional pest removal companies are fully qualified and trained to remove any infestation quickly and hygienically, ensuring minimal damage to your property and profits. They will have the appropriate tools and expertise to make sure the problem is eradicated and your facility is left clean and tidy. A number of pests require poisons to be laid for their complete removal, and these poisons are highly toxic and should only be handled by professional and fully trained individuals. They will also ensure that once the problem has been solved, the poison is completely removed, eradicating the risk of the substance ending up in in the wrong person’s hands, and causing health issues. Certain pests, like mice, carry a virus in their droppings, saliva and urine called hantavirus. If you try to remove your rodent problem yourself, you run the risk of inhaling hantavirus, which can develop into a serious lung condition. Though the disease is relatively rare, it does have a 40% death rate, so using a professional pest removal service is the safest option to avoid contact with the virus. Of course, keeping your facility clean and hygienic is one of the best ways to prevent a pest problem occurring in the first place. There are also natural repellents you can use, such as cotton balls soaked in peppermint oil to deter rats – they hate the smell of mint and will try and avoid the area. At MSL, we are fully qualified to remove any pest problem your facility may encounter, quickly, safely, and hygienically; with minimal disruption to your business. Call us on 0333 1234 450 to find out more about the reactive maintenance services we offer.